Install the varnish server and make corresponding configuration changes. 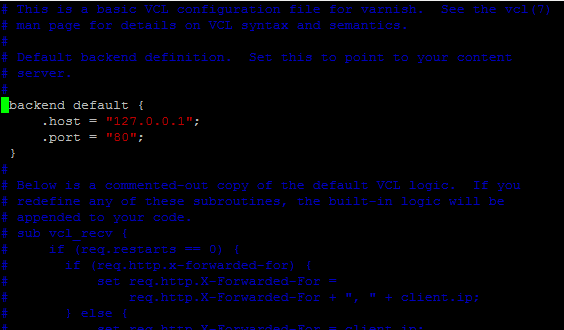 Now we should edit the default.vcl ( located at : /usr/local/etc/varnish/default.vcl ) and uncomment the backend default section. This backend default section is the section where we will configure the host and port of the server, where varnish will send the request; if the requested content is not available in varnish cache. Here the host is set as localhost i.e. 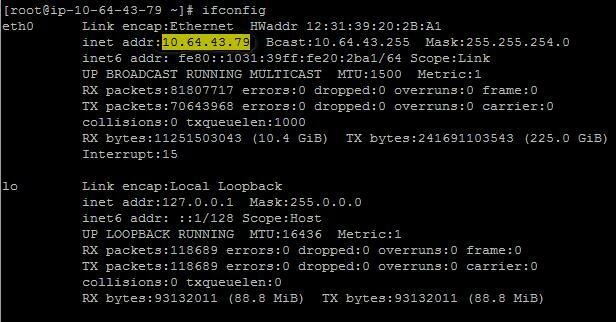 127.0.0.1 because, we have both web server and Varnish server running in the same Server Instance. If you wish to run the varnish in one server and the web server in another separate server, then you can do so but, make sure you provide the IP of the server instance where the web server is installed in the Varnish server’s default.vcl file’s “backend default” section accordingly. By default in Red Hat server it has Firewall settings enabled which will block our setup from responding when requested from browser i.e. only port 22 will be open since our requests come via port 80 it will not be allowed. Hence, to allow access we block Red Hat’s Firewall settings to proceed further. Also we will configure in such a way that this firewall block will be effective even on server restarts. Instead of blocking we can add configurations in iptables so as to allow port 80 also, but this is totally not required since our setup is in AWS. The security group settings of AWS are much secured and there is no need for another security level. Also, this additional security step will cause more latency in response so it is better to block Red Hat’s Firewall settings.